IS 5K FORMULA A SCAM- FACTS UNVEILED! 5k Formula is another Mattew Neer’s automated Online money making product, and if you are familiar with this guy, then you know what his products are like. But since we are taught not to judge a book by it’s cover, we did our due diligent research to uncover the truth about this product. Seeing you are here, We bet you are also wondering, is 5k Formula a scam or the real online money making machine? 5k Formula is “supposedly” a step by step already made system that is designed to help you make money online daily, on autopilot. 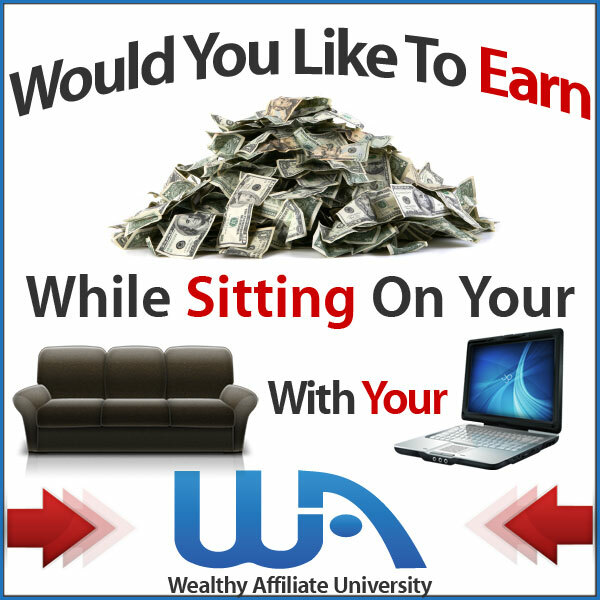 It was created by a guy named Mattew Neer, who claims his system will help you make money while you sleep. Login to you account: once you log into your account, mind you, that is after you must have paid the $19.99 membership fee (as at the time of this review) You gain access to the member area where you will be greeted with an introductory training video that will walk you through how to get started with the 5k system click by click. Point traffic source to your commission link: and at this point, he will show you how to take whatever traffic source you’ve chosen and point it directly to your commission link, so that any sales made, will be deposited in to your account. Sit Back, Relax, And Make Commissions: so here he claims it’s the time for you to sit back and relax with whatever beverage you love, as your system is already 100% set up and complete. And your traffic will soon start pouring in. From the below image, Mattew Neer claims that his new instant commission system makes him $5000 on 100% autopilot for free and claims same will apply to you when you give it a try. Now, I am going to start by saying there is nothing free about this System, aside the fact that you will have to pay about $19.99 to become a member and gain access to the member area, once inside, you are then confronted by the numerous upsells which are supposed to help engineer your business to success. To worsen the matter, it’s not just one or two upsells, but enough to make you bankrupt if you are the type that has little or no money at the time of purchasing his product. Matthew Neer also promised you don’t have to worry about anything from hosting, to owning a domain, and you do not need to worry about having technical experience, nor the set up process, as they will take care of everything for you. What happens if at some point something goes wrong and the system has to be shut down, where does that leave you and all your investment? Especially if you have bought into all his upsells and spent money on campaigns…. not all that glitters is gold.. Truth is, no matter how appealing this sounds, having your own website and personal hosting is the best thing you can do for yourself and your business, at least with that, you can always take decisions on what and how your business is run. Mattew claims that he has provided you with his sales funnel, and all you have to do is drive targeted traffic to it and out comes money over and over again for you. Sorry to burst your bubbles, but it isn’t as easy as that, else every one would be doing it already. There is no guarantee that the said traffic will even engage your products or be willing to part with their money to give it a try. This means you may still end up not achieving anything. Mattew definitely does. For every affiliate signup he gets, that is cold cash in his bank, accompanied by the numerous upsells included in this program. Here is the Ultimate fact! The most money Mattew makes definitely does not come from affiliate marketing as he claims, but from creating products such as this one, that he puts out to people who buy into it and make him richer. The more people buy into this system and promote it, the richer Mattew gets. That is as simple as it can be. Having access to Mattew’s product will cost you $19.99 as at the time of this review, but then there are upsells awaiting you at the inside. Is 5k formula a scam? For all the lies and deceit that accompanies this product, some people tend to tag it a scam, but for the fact that it has a genuine tutorials and the possibility that you might make money with it, we do not say it’s a scam. We simply do not recommend it as it’s a low quality product that will have you investing more than you bargained for and making money with it is not assured. Making 5k a month in an online business is definitely attainable, but it is something that takes time, and a lot of hard work to achieve. If you are here looking for a get-rich-quick scheme, then I am sorry to disappoint you, as there is no such thing as that. You wants to make money? You put in effort and get not just results, but good ones that will keep you smiling all year long. You will get all the training and support you need. That is it for today, hope you found this post helpful, if so do kindly share with others. Have a question? Or wants to contribute to this review? Go ahead and use the comment box below, we will be glad to hear from you.